Our tour guide will pick you up at Shanghai airport, holding your name board at the exit, then you will be transferred to hotel. The rest of the day is free time. In the morning, we are heading to Shanghai Urban Planning Exhibition Hall, which shows the achievement of Shanghai city planning and construction. Then take a visit to Shanghai World Financial Center, the highest building in Shanghai. 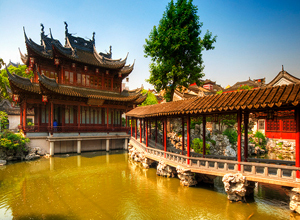 Afternoon we are going to Yuyuan Garden, one of the most famous gardens in China. Drop by silk factory, soak in the Bund, which is one of the most recognizable architectural symbols of Shanghai. Tour ends with the famous upscale shopping street Nanjing Road. This morning, you will have free time before departure. Later on transfer to airport and fly to your next destination. *Luggage transfers between airports or raiway station and hotels. *Entry or exit Shanghai airfare or train tickets. *Discount for children from 2 to 12 years old differs according to your tour size. *If you need to prolong your stay in Shanghai, or arrive a few days earlier, please let us know and we’d be happy to extend your hotel bookings, or arrange additional tours for you. I would like to please enquire about the price for 3 adults.